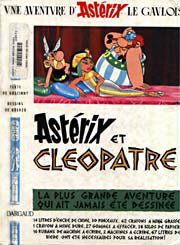 Astérix and friends embark on yet another adventure. Cléopâtre needs to show those Romans that indeed the Egyptians can build beautiful palaces. A bet is made and the fun begins.